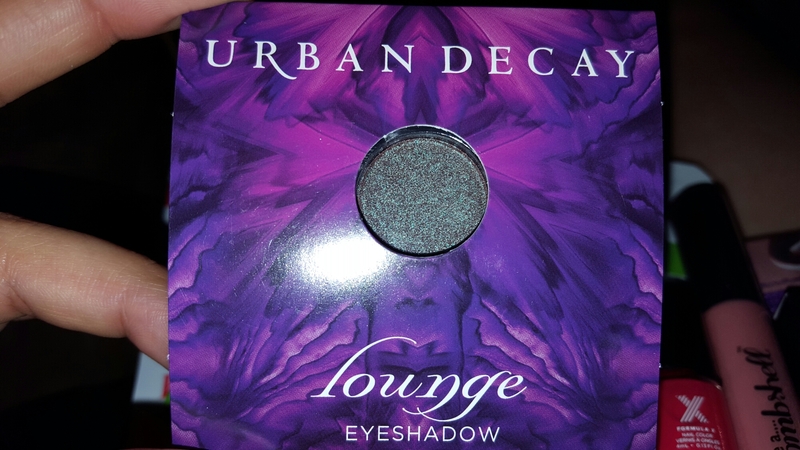 Urban Decay eyeshadow in Lounge. 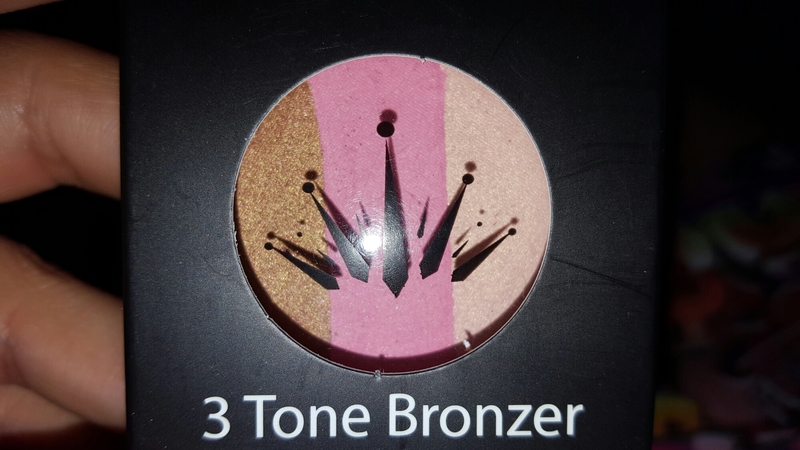 Crown 3 tone blush. Bronzer, blush, highlighter. 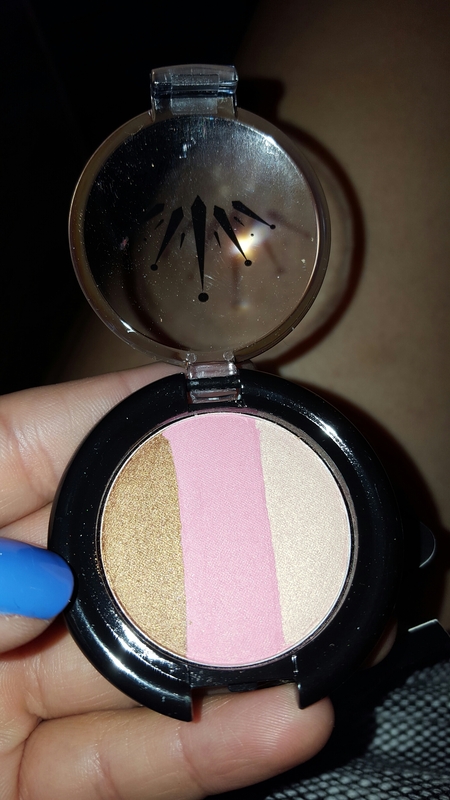 The bronzer and highlighter are super shimmery. The pink blush color is a lot less shimmery. Can’t wait to try it out! 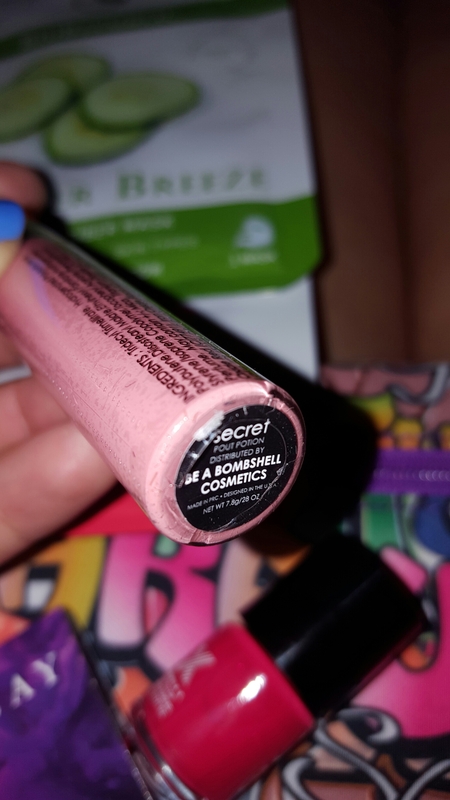 Be a bombshell cosmetics pout potion in Secret. Pale pink color. I’m not confident this color will look good on me, but I do like this brand a lot. 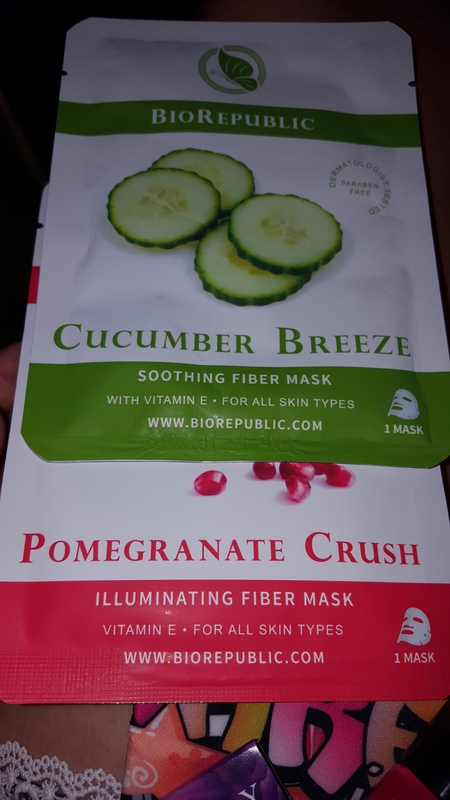 BioRepublic face masks in cucumber breeze and in pomegranate crush. Formula X mini nail polish in like a watermelon color. No color name is listed. BTW the color I’m wearing is Isabella by Julep with Essie good to go topcoat. 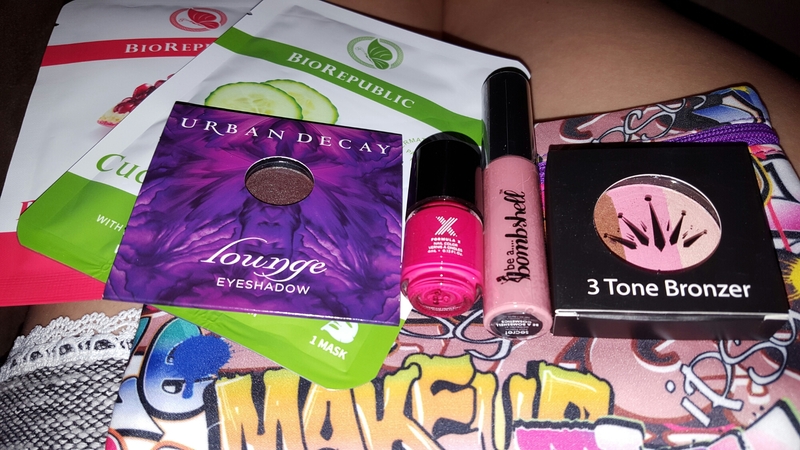 This is a pretty good Ipsy bag this month! Yay! Here’s my Ipsy referral link if anyone wants to sign up for a subscription.